From time to time, I come across cool little tools that I think you’d like. I am listing them here for you to check out and enjoy. How does leadership relate to “authority”? What fundamental works when it comes to getting your customers to not only pay attention, but become raving fans of your brand, company or practice? You need to be the recognized expert. 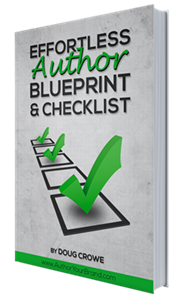 You need to be a published author. You want to have the inbound leads authors enjoy. The hurdle for many leaders is how to create an environment for influence when they are not near by. A leader’s content (blog, articles and book on Amazon) are critical elements of communicating leadership. Oh yeah…I wrote this one 😉 so, it’s free, just click here. One of my favorite things to do is our 100% done for you Amazon Best Seller program. We put you at the top of the list AND put you in the digital News media. That means your book becomes an Amazon Best Seller, and you get over 100 News articles talking about you and your book! It’s a $2500 program and not in everyone’s budget. For those who want to do the work themselves, there is a very snappy tool and training you can use. Click Here to get it! While Facebook and Twitter are mostly social, the quiet powerhouse of online connectivity is Linkedin. While you may have profile and a few connections there, many business owners underutilize this amazing tool. If you want a fast-paced, no-nonsense tutorial on unleashing Linkedin’s influence, Click here and check out this course by Lewis Howes. I’m a publisher, marketer, speaker and author…that’s a long list, but at the end of the day, my passion is to help others succeed. My core business is helping people properly create, position and market their message through a book. However, most people don’t even read! Being an author is still vital. You don’t get many Youtube stars being interviewed on radio or TV. Every intelligent marketer should be an author. However, an author without a great video strategy is missing the boat. Check out this spectacular tool to take the pain out of creating, optimizing and marketing via video. You can still post your public and “SEO-able” videos on Youtube. Using Easy Web Video is phenomenal for the content you want to protect or eliminate those annoying ads that occur after your video is played. However, when you analyze the engagement, most people lack the TV show style of keeping viewers hooked and the proper tools for monetization. Which led me to search for a service that was easy to use AND I could be sure my participants stuck around. You see, some people bore more rapidly than others. Let’s be candid, nearly all webinars are sloooow and don’t get to the point very rapidly. If you have been on a webinar at all in the past few years, it probably was hosted on GoToMeeting, by Citrix. These are the giants of the webinar industry. While they are facing a serious battle with Google Hangouts, which can have unlimited participants for free, GoToMeeting is a platform that is nearly glitch free (which no one at Google can profess). The interface is easy, there is a very strong support department and if you are a serious marketer, the costs of using this platform are notable, but insignificant if you know what you are doing (making money). GoToMeeting is not recommended for first timers, or anyone with a smallish list. Once you have built up a sizable tribe, this platform may be your most stable solution for bringing your people together, making announcements, training and sales presentations. Webinars are all the rage today. There is a comfort and an overall acceptance for learning online (and selling, but more on that later). When you use a Google Hangout, only people who are G+savvy will be able to logon and use it. You can certainly embed the code onto your own website and host from there. I did that for months. However, in order to manage your audience, lead them to making a purchase and engage them in Q&A you need some additional technological muscle. I’ve recently reviewed Webinar Ignition and found it to be easy, functional and very robust. Not married to Google Hangouts? No problem, Webinar Ignition can also use Live Stream or any number of video streaming services, auto responder companies, etc. Unlike Webinar Jam, which recently went to a monthly fee (yuk), Webinar Ignition is still a one-time investment. I recommend them for anyone starting off doing webinars.